I read this article and found it very interesting, thought it might be something for you. 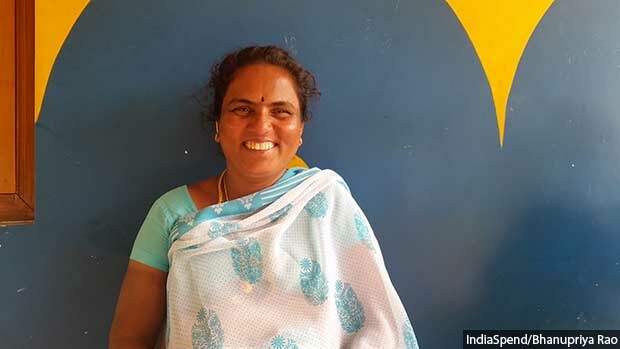 The article is called Why Muthukanni, A Dalit, Had To Build Her Own Panchayat Office https://www.indiaspend.com/why-muthukanni-a-dalit-had-to-build-her-own-panchayat-office-36754/. K Muthukanni (center), the president of Madhavakurichi panchayat in southern Tamil Nadu’s Tirunelveli district, was voted to power by six of the seven hamlets. But this was the beginning of her troubles, a story all dalit presidents narrate--of not being allowed inside the panchayat office, of being prevented from hoisting the national flag or carrying out her duties. Madhavakurichi Panchayat, Tirunelveli district, Tamil Nadu: It wasn’t personal ambition that drove K Muthukanni to stand for election as panchayat president from Madhavakurichi in Mannur block of southern Tamil Nadu’s Tirunelveli district. It was indignation at the humiliation heaped on the incumbent dalit panchayat president by the dominant Maravar caste. An active member of Pudhu Vaazhuvu, a state government microfinance programme, for the last 17 years, Muthukanni contested in 2011 from a seat reserved for scheduled caste candidates. As is the general practice in most parts of India, such seats are almost always contested by men. Muthukanni, hugely popular among the women of the panchayat, was voted to power by six of the seven hamlets. But this was the beginning of her troubles, a story all dalit presidents narrate--of not being allowed inside the panchayat office, of being prevented from hoisting the national flag or carrying out her duties. On her first day at work, she was verbally abused by Maravar men. But Muthukanni fought back. She shifted her panchayat meetings to a community library in the neighbouring hamlet of Venkalapoddal. It was attended in huge numbers by women but boycotted by Maravar men. Assured of the people’s support, she lobbied with India Cements, whose flagship plant is at neighbouring Shankarnagar, for corporate social responsibility (CSR) funds to set up a new panchayat office building. With a Rs 50-lakh grant, she set up a swanky, air-conditioned panchayat office in Madhavakurichi. That building is a testament not only to Muthukanni’s efforts to reclaim her community’s dignity but also to her commitment to the idea of social justice. “This office is open to all. Anyone can come and meet me and talk to me,” she said. The last two stories in the IndiaSpend series on Tamil Nadu’s women panchayat leaders focussed on how they battled gender prejudices and sparse resources to bring a better quality of life to their villages. In this story, it becomes clear that even though the 73rd Amendment of the Constitution created institutional spaces for women from the marginalised groups like dalits and adivasis, they still have to deal with entrenched caste beliefs, discrimination and harassment. Dalit and adivasi women in panchayat politics have to negotiate three kinds of oppression--rigid caste structures within the village, patriarchy within and outside their families and feudalism, where they are in a dependent economic relationship with the dominant caste in the village. Among these women too, those who rank higher in the caste hierarchy have the advantage of economic and social mobility brought by political organisation. Women of the Pallar sub caste, dominant in southern Tamil Nadu, and Parayar sub caste, dominant in the north, have the backing of Pudhiya Tamizhagam and Viduthalai Chiruthaigal Katchi (VCK). They have the powers to resist land-owning castes such as the Mukkalathors (collective name for three dominant castes Thevars, Maravars and Kallars), Gounders, Vanniyars and so on. Arunthatiyars (also called Chakkiliyar/Sakkiliyar) are lower in the caste hierarchy and suffer at the hands of the powerful castes in whose farms they work. They are also discriminated against by the Pallars and Parayars. Of the 76 sub castes among the state’s scheduled castes, it is primarily the Pallars, Parayars and Arunthatiyars who contest elections. Caste oppression begins with the election process where the dominant castes directly sponsor candidates for seats reserved for scheduled caste women. A katta panchayat, one comprising men from landed communities, picks a woman candidate, usually a daily wager Arunthatiyar who works on the farm of one of these landlords. These women are expected to be pliable, and once elected, take the back seat while their sponsors take charge. George Dimitrov, a lecturer at Gandhigram Rural University near Dindigul in central Tamil Nadu, who has documented dalit women presidents in the district for his PhD thesis, found that nine of its 25 dalit women presidents had been sponsored by katta panchayats. Of these, seven are from the Arunthatiyar community and the other two from communities even lower in the caste order. Once the katta panchayat decides, the women have no choice but to contest. They often have to borrow money from the local money lenders on interest for contesting elections, pushing them into further debt and feudal dependence. Angammal (37), a daily wage labour from the Arunthatiyar community, was forced to contest by the Gounders of the Appipalayam panchayat in Dindigul. Her predecessor, Selvi, had been chosen in this manner but she had begun to resist the dominance of the Gounders once she took office so the panchayat stopped backing her. They banked on Angammal being more pliant. “Arunthatiyar women borrow anywhere between Rs 30,000 and Rs 3 lakh from the local money lenders to contest elections, an amount they neither have nor afford to pay back,” said Dimitrov. In areas where Pallars or Parayars contest elections, dominant castes often sponsor an Arunthatiyar woman to create a further divide within the dalit block. Podhum Ponnu, the president of R Vellodu panchayat in Dindigul, is still angry with the Arunthatiyar woman who contested against her in the 2011 elections. “I have good relations with everybody in the village except the Arunthatiyars,” she said. “What is the need for her to take the support of upper caste people? They do this to divide us,” she said. Podhum Ponnu, the Parayar dalit president of R. Vellodu panchayat in Dindigul district, is angry with the Arunthatiyar woman who contested against her. In areas where Parayars/Pallars contest elections, dominant castes field Arunthatiyar women to create divide and resentment within the dalit block. The dominant castes retain the job of the vice president for themselves, it has been observed. As joint signatories of panchayat cheques, they are in a position to create roadblocks when dalit and adivasi women leaders assert themselves. They also ensure that a bulk of state funds are diverted to areas they are invested in. Seats are also illegally ‘auctioned’ by katta panchayats to retain control of village politics, it is reported. In the case of seats reserved for scheduled caste, especially women, this ‘auction’ takes another form: The katta panchayat sponsors a pliable candidate and asks for bids to decide who gets to control her actions once elected. Balamani Veeman of Kudikulam panchayat in Madurai district was auctioned off, despite her protests, to the local Thevar landlord Karuppasamy, the Indian Express reported in November 2006. Balamani would then have to sign contracts for works in the panchayat and hand over all the “earnings” (a euphemism for bribes) from panchayat works to Karuppasamy. When brought to their notice, district authorities nullify such ‘auctions’ but rarely punish those responsible. The practice came to light in 2001, according to this October 2001 report in Frontline, and it continues to-date. The most recent case was reported from three villages in Paramattivelur taluka in Namakkal district, for the 2016 panchayat elections, which have since been postponed. There are historical cases of Pappapattti, Keeripatti and Nattermangalam villages in Madurai district and Kottakachiyenthal in Virudhunagar district, where the local dominant castes blocked dalits from assuming power for ten years between 1996 and 2006. They ran a parallel system that flouted every principle of democracy without being held accountable. When the marginalised castes resist, the dominant castes use a very high handed structural tool--Article 205 of the Tamil Nadu Panchayats Act--to discredit them and have them dismissed. Muthammal (68), the president of Veerappanaikampatti panchayat in Harur block of Dharmapuri district, is still traumatised by the sustained harassment at the hands of three local Vellalar men during her tenure between 2011 and 2016. These men were the vice president, the panchayat secretary and the chairman of the district panchayat (the highest tier of rural local governance). Muthammal, a Parayar, owns 15 acres of land and her family members hold good positions in civil service, police and judiciary. In spite of this, she faced the axe of Article 205, which gives the district collector power to dismiss the panchayat president. Muthammal recalled that she refused the demand of vice president Murugan for a share of his “commission”, an aphorism for graft, from panchayat funds. The secretary, a government functionary whose job is to keep records and accounts, then fudged accounts over a long period, Muthammal alleged. 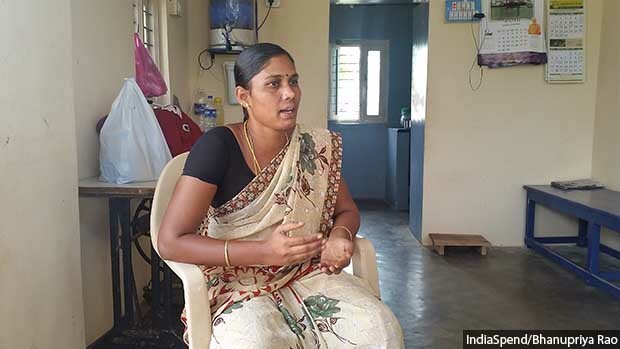 Muthammal, the dalit president of Veerappanaikampatti panchayat in Dharmapuri district, had her financial powers suspended under Article 205 of Tamil Nadu Panchayat Act, for standing up to the dominant caste panchayat functionaries. Dalit women presidents are disproportionately affected by the use of Article 205, which gives the district collector the power to remove/suspend elected panchayat presidents. “One time, I had signed a cheque for Rs 14,000 which he changed to Rs 22,000. The bank manager detected it and alerted us,” she said. Accused of corruption during the annual audit, Muthammal’s powers of signing the cheques were suspended by the district collector under Article 205. “Not just me, five other scheduled caste presidents from Harur block--two of them women--had been charged under Article 205 and their powers suspended,” she said, hinting at casteist collusion. Women, as we reported in our 2017 series on Tamil Nadu’s women leaders, appear to be disproportionately affected by the use of Article 205. In the five years between 2011 and 2016, 42.5% of panchayat presidents dismissed were women, according to data we obtained from the Directorate of Panchayat and Rural Development; 30% of these were dalits. Activists have been demanding that the posts of vice president be reserved for scheduled castes and women in panchayats where the president’s post is already reserved for these groups to avoid such conflicts. The Tamil Nadu Women Panchayat President’s Federation has been demanding the repeal of Article 205 for several years. The state is yet to act on these demands. Muthammal’s powers were restored only after she pleaded her case with the commissioner of the Directorate of Panchayat and Rural Development at Chennai. Other presidents had to go to the court to get their powers restored. Reservations for dalit women are often seen as opportunities for male relatives to realise their own political aspirations. This is especially true of those with several years of political activism with the Dravidian parties--the All India Anna Dravida Munnetra Kazhagam and the Dravida Munnetra Kazhagam. Panchayat politics, for these men, is a good opportunity to access power in party organisations that are highly competitive and dominated by upper castes. Women are persuaded to contest, despite little interest, by male members of the family. And if the women start showing real interest in their work, they are threatened and abused. Muthumariammal (32) of T Puthupatti panchayat in Dindigul was persuaded to contest in 2011 by her husband Perumal, a daily wage worker. Though she was politically aware, she was expected to hand over all control to her husband. When she started showing signs of resistance, Perumal became oppressive and even confiscated her mobile phone. After three years, Muthumariammal filed for divorce and took back control of her chair. But unlike her, most women have no choice but to navigate between their roles as wives, homemakers and leaders. Dominant caste women who become panchayat leaders struggle with patriarchy too. But then they are spared the kind of oppression dalit women are subjected to. The two-decade old chronicle of dalit and adivasi women panchayat leaders in Tamil Nadu is at once a story of oppression and resistance. Kalpana Ravindran (42), the president of the Vadakapatti panchayat in Harur block, is a Parayar who was harassed by the Vellalar secretary. First, he asked her to stay out of panchayat affairs. When she resisted and sought the block development officer’s (BDO) intervention, he began fudging accounts to discredit her, she alleged. When the misappropriation of funds came to light, block and district officials accused her of incompetence and corruption. “Maintaining the accounts is the secretary’s job, so why was I blamed?” she said in a voice filled with despair. 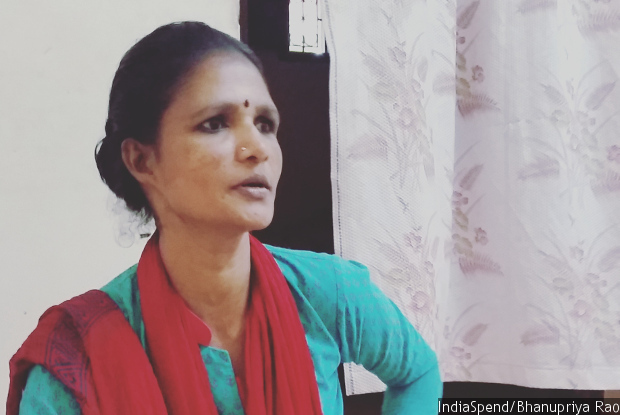 Kalpana Ravindran still struggles with the mental agony of the discrimination and harassment she faced at the hands of her dominant caste panchayat secretary after she refused to hand over the entire functioning of the panchayat. Dalit women presidents, when they resist the dominant caste clout over the panchayat, are often implicated in cases of corruption and misappropriation of funds, to discredit them. Her five-year term between 2011 and 2016 has left her scarred. “All I wanted to do was learn when I got the chance. But these people made sure that I lost face in my own village. For many days after that, I did not step out of my home. I would sit and cry for hours after my husband left for office,” she said, adding that she still finds it hard to socialise in her village. A dalit or adivasi woman leader ought to be addressed as thailaivi (leader) in Tamil, just as a male leader is called thalaiva. But quite often she is addressed with casteist slurs such as “Ei Sakkilichi” (You, Sakkiliar woman). 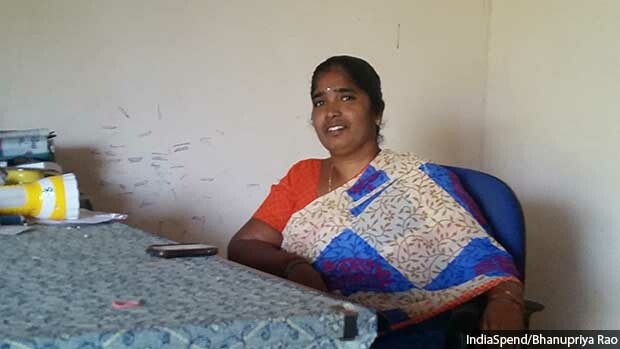 When Thulasimani of Koombur panchayat in Dindigul insisted on sitting on the president’s chair, the entire village would sneer at her for her “arrogance”, she recalled. “Thulasimani is thimiru pidichava (a woman with a swollen head). How dare she sit in front of the Gounder men?” was a common refrain. The Gounder men would drop into her house in the Arunthatiyar colony at all hours to demand that various problems be fixed. But they would never step into her home. “This is why I would go to the panchayat office daily though it is 6 km away. There, I am the president. At home, I am an Arunthatiyar,” she said, her voice choking with emotion. Thulasimani of Koombur panchayat in Dindigul was called ‘Thimiru Pidichava’ (a woman with a swollen head) for daring to sit on the president’s chair by the Gounder men. Dalit women presidents, who ought to be called thalaivi (leader) are subjected to casteist slurs often, more so when they insist on demanding their constitutional and political rights. These microaggressions are used to force women like Thulasimani to quit while warning future dalit and adivasi women leaders to comply or be harassed. “My heart is completely broken. I will never contest again,” said Thulasimani. P Krishnaveni, the panchayat leader, who featured in our 2017 series, survived a near fatal attack in Thalaiyuthu panchayat in 2011. She was eulogised as ‘Veeramangai’, a brave woman, by the media in Tamil Nadu. But few know of the trauma she suffers living among her attackers and seeing them escape the justice system. “Sometimes I feel so angry I want to kill them all. I have suffered so much because of them,” she said. P Krishnaveni, the former president of Thalaiyuthu panchayat, was called ‘Veeramangai’ (brave woman) after survived a near fatal attack for daring to take a stand against the casteist and corporate forces in her village. But few realise the trauma she lives with even to this day. Dalit women presidents often live with considerable trauma and fear, even while realising that the role of the panchayat leader gives them the dignity that they never got before. Though the state fails to provide safeguards to vulnerable dalit and adivasi women, it also expects them to discharge their constitutional duties and fulfil the requirements of the 73rd Amendment. 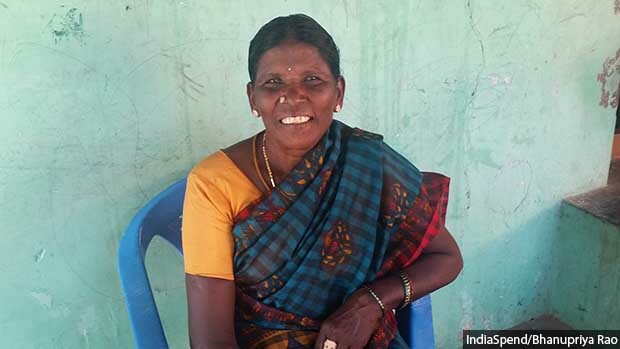 P Singaram (57), the president of Kumarapalayam panchayat in Salem district, was forced to stand for elections by the district administration because she was the only eligible woman candidate from the scheduled tribe community at the time. Weary of routine harassment by upper caste men, she sought to resign her post twice but was asked by the district administration to continue. The third time, she was made to sign an agreement stating that she would continue in her role for ten years between 2006 and 2016. Dalit women leaders IndiaSpend spoke with said they wanted the empowerment the job brought, but their tenures were full of fears and insecurities. Rajyalakshmi (name changed to protect identity) took us inside her house, bolted the doors, moved her chair close and whispered the story of her travails. This is the third of a five-part series on women panchayat leaders in Tamil Nadu. You can read the first part here, the second part here, the fourth part here and the fifth part here.